These pins are a prime choice for professional and hobby tailors when it comes to pinning and affixing jersey or knitting material. The needle stem, made of hardened steel, with a carefully-refined surface, ensures even sliding capacity and has a balanced ratio between stability and elasticity. Its rounded tip is easy on the affixed materials’ sensitive fibres. Thanks to their burr-free and grip-friendly head, they are practical to use. 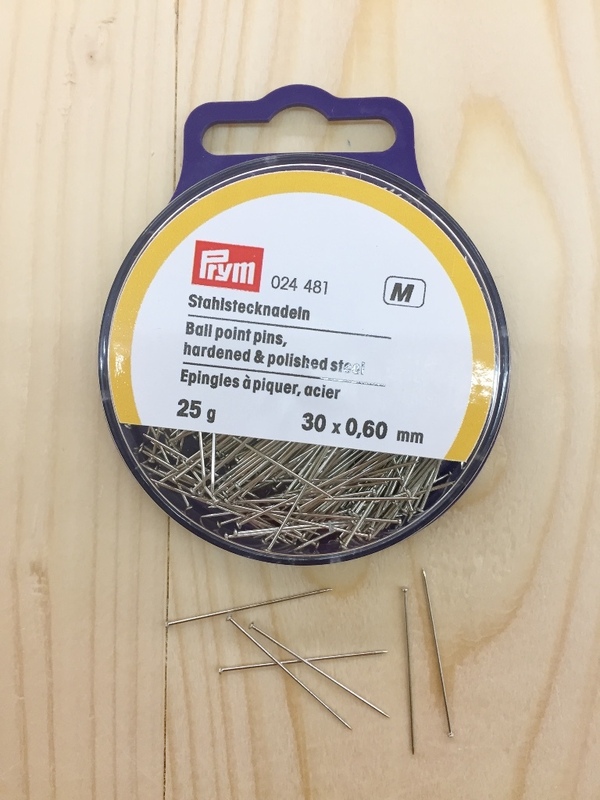 The package contains 25 grams of steel pins with a ball tip.